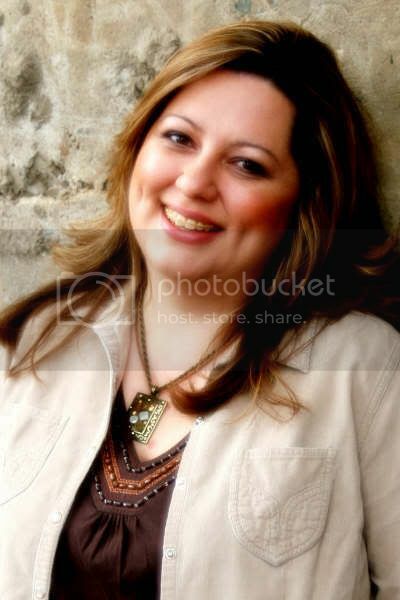 You are going to love this interview with my friend, Shelley Bates. And you'll love her books as much as I do. The first book in my Elect trilogy, Grounds to Believe, was almost autobiographical because the heroine was struggling with leaving her church, as was I. In fact, I used her as an avatar, the way you would in a computer game, to see what she would do with my thought processes and actions, and to see how her choices would play out given her social community. It was a good way to give myself therapy, because writers certainly can’t afford a psychologist! That's the truth. What is the quirkiest thing you have ever done? I’ve done some interesting stuff in the pursuit of research for these books. I learned to ride a motorcycle for Grounds to Believe, and in fact still hold a license. I never bought a Harley like my hero’s, though :) For another book, a suspense that has never been published, I learned to sail a small sailboat, including experimenting with what would happen when it capsized. Brr. That water was cold! For A Sounding Brass, whose antagonist is a radio evangelist, I sat with a radio DJ during her show and learned how to work the soundboard in the studio. One of the side effects of research is the way it enriches your life. I was eight years old and got a rave review on a little composition about a ghost in a graveyard. Very cheery stuff. But I discovered that the written word makes people respond, so I decided that was the path for me. Thirty years, two literature degrees, and many manuscripts later, I was finally published. We all have varied paths to publication, and differing timetables. Tell us the range of the kinds of books you enjoy reading. If I get started, I’ll never stop :) I like women’s fiction by Rosamund Pilcher, Kristin Hannah, and Jenny Crusie. I like science fiction by Connie Willis and Barbara Hambly. I adore Elizabeth George’s fat mysteries (as well as the Inspector Lynley series on TV—who doesn’t love Nate Parker?). Give me Christian fiction by Tracey Bateman or Deb Raney, or romance by Candice Hern or Suzanne Brockmann, and I’m a happy woman. The Elect trilogy includes RITA Award winner Grounds to Believe, RITA finalist Pocketful of Pearls, and my new release, A Sounding Brass, which Publisher’s Weekly said contained “spiritual insights coming from unexpected places.” And Warner Faith will be releasing Over Her Head in May 2007. 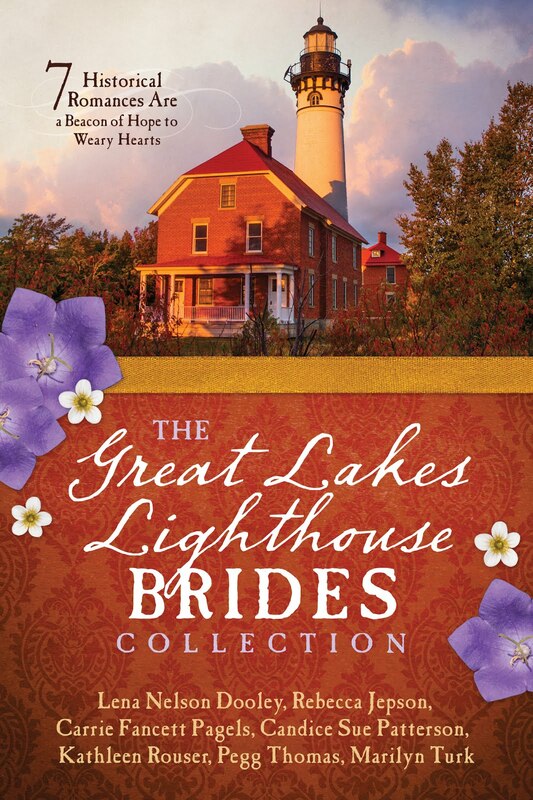 Here’s the teaser: “Laurie Hale has the perfect life—and the perfect family to go with it. But no parenting manual tells you what to do when your teenage daughter is accused of murder.” Heh heh. And we have to wait until May to read that. What a tease!!! How do you keep your sanity in our run, run, run world? One word: Chickens. Hanging out with them in my garden while I work is my relaxation therapy. Sometimes a character arrives in my head with a name, such as Julia McNeill in Grounds to Believe. With other characters, such as Dinah Traynell in Pocketful of Pearls, I decide on a major trait or motivation for him or her, and go look it up in my Dictionary of English Surnames. Dinah’s last name is from a root word that means “trapped,” which is what she is until she learns to accept God’s love and free herself from her cage. Cool, huh? Etymology is a hobby of mine, so I like to play with it in my characters’ names. Sounds like fun. I love word origins and word meanings, too. What is the accomplishment that you are most proud of? 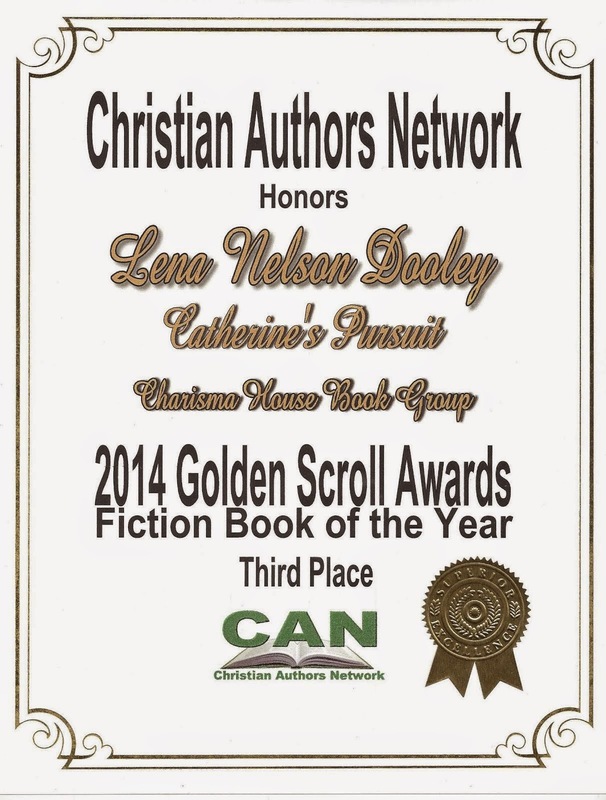 It would have to be winning the RITA Award from the Romance Writers of America last year for Grounds to Believe. That book was rejected by every house in New York for five years, until Steeple Hill gave it a chance. And because it’s the book of my heart and very personal, seeing it get that kind of recognition was a wonderful experience. I can see how it would be. If you were an animal, which one would you be, and why? I’d be a Burmese cat, with big golden eyes. My dream vacation involves someone bringing me food and drinks at regular intervals while I lie in the sun. Seems to me a cat would get this kind of treatment every day, right? It also sounds like a cruise. What is your favorite food? I like just about everything, but crème brulée and chiles rellenos are at the top of my list. That's quite a culinary combination. What would you like to tell us about the featured book? A Sounding Brass is based on true events (believe me, you can’t make this stuff up). A radio evangelist came to the town my cousins live in, and during the course of his "ministry," managed to defraud the entire town to the tune of hundreds of thousands of dollars. When I saw the article in the paper, I cut it out right away, because the pricking of my thumbs told me it would make a great basis for a story. 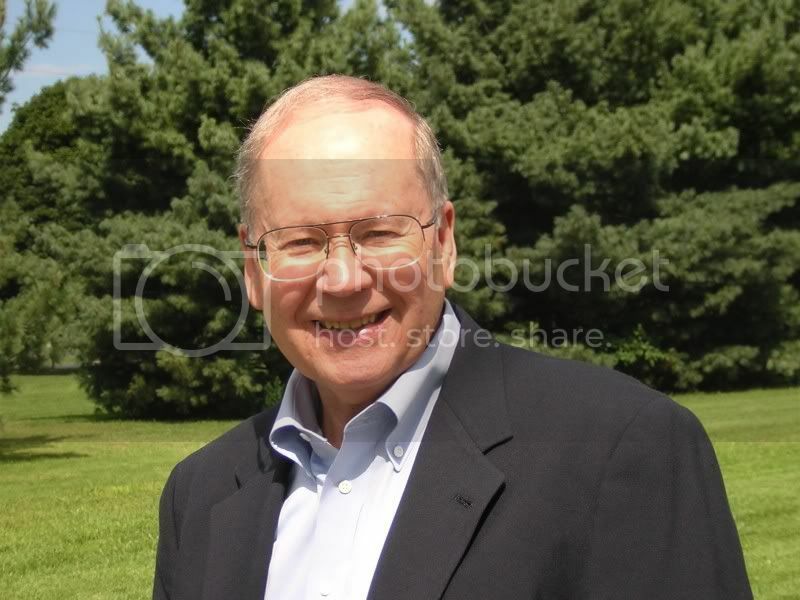 I needed a way to bring the Elect, my fictional toxic church, to the realization that their tendency to glorify their leadership just couldn’t work anymore, and a charming evangelist like this seemed the perfect solution. Thanks for the opportunity to visit, Lena! I really enjoyed it, too, Shelley. The insight into your life was interesting. I love your books and can hardly wait for the next one. 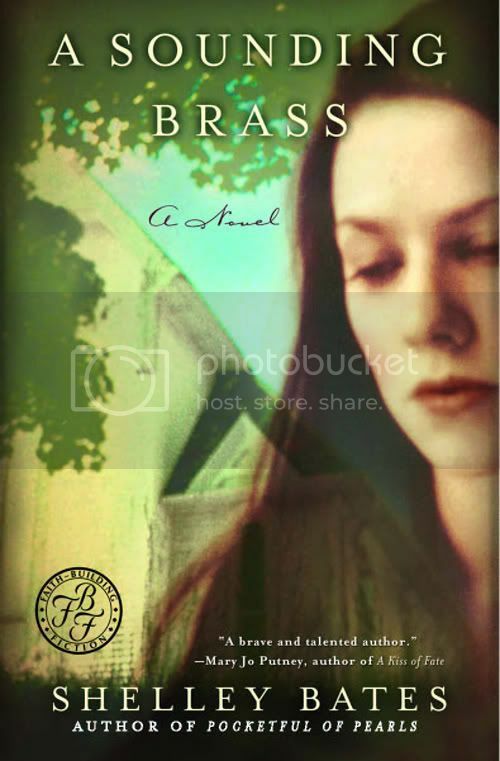 Readers, be sure and leave a comment for a chance to win a copy of A Sounding Brass. Rachelle is the winner of a copy of Rose Kelly by Janet Spaeth. Please e-mail me your mailing address so we can get the book out to you. There's still time to leave a comment on Tricia Goyer's post for a chance to win a copy of Arms of Deliverance. 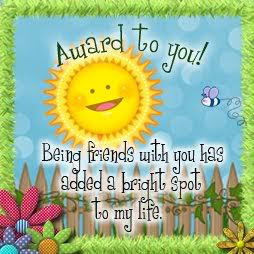 I had reader contact me this week, because she didn't get the word that she won a book this year. After a period of time, we choose another winner. If you don't want to risk missing the post telling about you winning a book, sign up in the column on the right to be notified by FeedBlitz when an new post goes up on this site. Then you won't miss anything. Tricia is a fellow blogger, a fellow member of ACFW, and a thoroughly nice person. I love a person who writes interesting historical novels with such authenticity. You'd almost think she actually lived during the time period. I know you'll love getting to know her, as much as I have. You know, I never really thought about “me” being in my characters, but my close friends and family tell me I do. I have two books, where the main characters are especially “me.” The first is From Dust and Ashes. Helene is a Nazi officer’s wife who is abandoned near the end of the war. She is forced to raise two children alone, and she has many regrets from her past. One of my friends, called after reading it and said, “It was like reading your story only in historical form.” I hadn’t thought about it until then, but as a pregnant teen I was abandoned by the baby’s father, and I suppose a lot of those emotions spilled out. 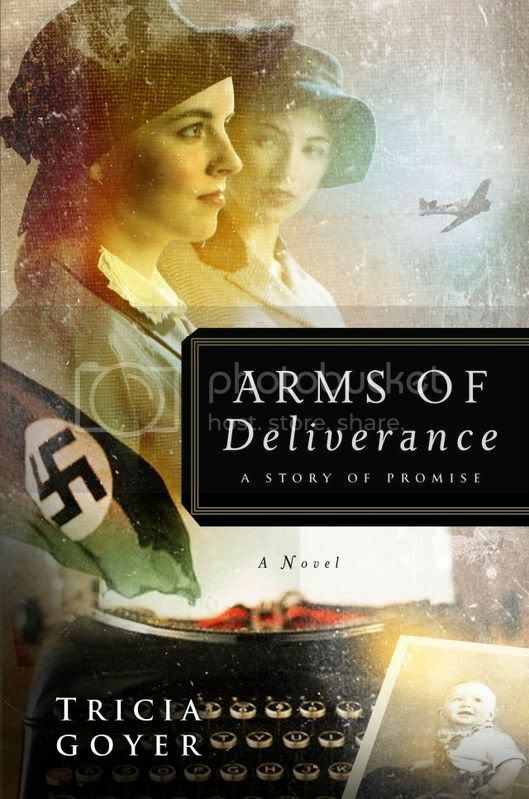 The other book is Arms of Deliverance, which is just out. In that story, Mary is born to a single mom. She later discovers who her father is, but has a very formal relationship. 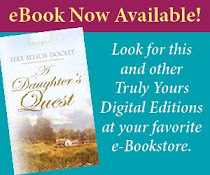 Through the story she learns about the heart of a father in a special way. Like Mary I was born to a single mom, and I always felt I wasn’t good enough to be worthy of a relationship with my biological dad (who I didn’t meet until I was 26-years-old. Again, those feelings and emotions came out in the story. Of course, real life often doesn’t have the same happy endings. One of my daughters got pregnant and was abandoned by the father of the child, so I understand many of the emotions, too. What is the quirkiest thing you have ever done? I’m a very stable and predictable person . . . but I am quirky every week during our children’s church program. My husband is a children’s church leader and I volunteer every week, dressing in a variety of costumes, using puppets, acting out Bible Stories and skits. We have a blast, and my three kids are involved too! How fun, Tricia! I have a drama background and have also done puppets. We have a lot in common. When did you first discover that you were a writer? So why haven't I featured Cindy with an interview? Have her contact me. Tell us the range of the kinds of books you enjoy reading. I love a wide-variety of books. I mostly read research books—memoirs, battle summaries, etc. But I also love Chick-lit, a good suspense, and historical novels, of course. That's one reason your books ring with authenticity. What other books have you written, whether published or not? My novels with Moody are: From Dust and Ashes, Night Song, Dawn of a Thousand Nights, and Arms of Deliverance—which I got to hold in my hands just a few days ago! I’ve also written Mealtime Moments (Focus on the Family), 10 Minutes to Showtime (Tommy Nelson), Life Interrupted: The Scoop on Being a Young Mom (Zondervan), and Generation NeXt Parenting, which released in September. In the next few years I'll have three more novels hitting the shelves and a marriage book for Gen Xers. Wow! That's some list. How do you keep your sanity in our run, run, run world? There is only one way . . . by turning to God. In the past ten years or so I’ve made a habit of morning quiet time with God. I wake up before anyone else in the house and read my Bible, work through Bible Study books, journal and pray. Alone I can’t go through life with an eternal perspective—it’s impossible. Alone I could never remain sane. So I lean on Christ. In my weakness HIS strength is complete. I still run, run, run . . . but I strive to run after the things He’s calling me to focus on—family, church, writing, mentoring. He helps me to run than race with endurance and keep my eyes on the prize. He shows me what Real Life in Him is all about. Usually, I have names that seem to pop into my heads the same time as the stories do. I have to be careful though, I have my favorites! In Night Song I have a Daniel. Then Dan popped up in Dawn of a Thousand Nights. I didn’t realize this until I was in the middle of writing Arms of Deliverance, and I realized on of my main characters was Danielle. No joke! I had to change her name, of course. Overall, I pick names for the “sound” they make. My female characters are very driven and accomplished, but I balance that with gentle-sounding names that evoke an inner softness. Libby, Evie, and Sophie are a few . . .
On the other hand, I like short and powerful names for my male characters: Peter, Nick, Dan, Philip. Without a doubt my kids. I love how they place God, church, and family in the center of their lives. They are ages 17, 14, and 12 now and I adore hanging out with them. In addition to that, I work very hard at having a strong marriage too. It’s paid off and our home life is full of love and care for each other. I know what a blessing that can be, since my marriage is very strong and long-lasting. If you were an animal, which one would you be, and why? What a question! I’d like to say a dog. My little dog is the sweetest thing ever. She follows me everywhere, lies at my feet as I write, enjoys our walks more than anything, and peers up at me with the most adoring eyes. Sometimes I pray that I’ll learn from her, “Lord, make me as devoted to you as this silly dog is to me.” I desire to follow God everywhere, lie at His feet, enjoy our walk more than anything, and peer up at Him with adoring eyes. That’s easy. My grandma lives with us and she’s a great cook! Coming from a Hispanic background, she makes the best homemade enchiladas and tamales. I beg her often, but since they are both so much work, usually only get them on holidays. Arms of Deliverance takes place in Europe 1944. Katrine, a Czech Jew, is so successful in her attempt to pass as an Aryan that she finds herself dating a Nazi officer. Having convinced him of her genetic purity, the officer sends her to stay at a Lebensborn home—a Nazi breeding program in which children are raised and indoctrinated by the state. Meanwhile, rival American reporters Lee and Mary land assignments on the frontlines of war-torn-Europe—Lee joins troops sailing for Normandy, while Mary’s destiny lies in the cramped quarters of a B-17 bearing down on Berlin. Before the presses roll, their lives will be indelibly marked by a caring American navigator, brave French resistors, and a maniacal Nazi officer. Mostly, it’s a story of unexpected redemption. It’s a page-turner, if I say so myself! Of course it is. I can hear the scurry of feet heading toward a bookstore to pick up a copy, accompanied by clicking keys as other people order the book online. Of course, one of the readers will win a copy on this blog. Tricia, thank you for visiting with me today. Readers, be sure and leave a comment for the chance to win a copy. Also, there's still time to leave a comment on Janet Spaeth's interview, too. 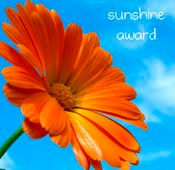 Due to strange circumstances in my life this week, I'm later than usual announcing the winners. Richard Mabry offered to send books to two winners. They are Sherry B and Eileen. Please contact me with your mailing addresses. Muriel Stone needlessly wiped the counter while she stared into the tiny parking lot in front of the diner. Whirling snowflakes curtained the inky night beyond the reach of the lights. She turned toward the pass-through window to the kitchen. "Joe, why don’t we just close up and go home before the weather gets too bad?" The older man with a white cook’s cap on his head leaned close to the opening. "Can’t do that, Muriel. This stretch of road is long and lonely. What if someone who doesn’t know about how really far apart the towns are needs some place to light for a while?" She tossed the damp white rag onto the shelf under the counter. "I guess you’re right, but we haven’t had a customer for over three hours." He smiled at her. "You go on home if you want to. I can hold down the fort alone." Muriel gave her head a swift shake, and one curly lock fell from the bun at the back of her head and tickled her neck. She stuck it back under the knot. "I said I’d work tonight, and I will." After all, she really needed the extra money Joe paid for the holidays. She still owed the hospital $5,000 on her deceased husband’s final bill. It had taken her over two years to whittle it down that low. With the tips she’d been receiving lately, it might take another couple to finally pay it off. What a dismal forecast for her future. The brass bell over the door jingled, and she looked up. A middle-aged couple, bundled against the cold, made their way to the farthest booth from the door. Probably to keep from feeling the wintry wind in case someone else came in. Muriel filled two glasses. After sticking menus under one arm, she picked up the water and headed around the counter. "How can I help you folks?" The smile she painted on her face as fake as a three dollar bill as she handed them the menus. The woman pulled a cap from her tumbled, white curls and looked up at Muriel. "I need something hot and nourishing. What do you suggest?" Her companion silently watched the exchange with a half-smile on his face. "Joe has a delicious pot of stew going, and his cornbread muffins’ll melt in your mouth." Muriel poised her pencil over the small green pad. A look of deep understanding passed between her customers before the man ordered. "That sounds fine to us. My wife and I would like coffee while we wait for you to bring the food." Muriel didn’t need to write their order down. She walked to the pass-through where Joe waited expectantly. "These people want some of the stew and cornbread." He nodded and set to work. The steaming food appeared in the window just as she finished pouring the coffee. After serving the bowls of stew, Muriel returned with the hot bread and butter. With a twinkle in her eyes, the woman gently touched Muriel’s arm. "Since you’re not too busy with customers, could you sit with us while we eat?" Muriel glanced from her to her husband, who nodded his agreement. Why not? It had been a boring afternoon and evening. She was good at her job, because she liked talking to people. "Hey Joe, I’m going to visit with these people unless someone else comes in." He gave a wave from the kitchen, and she knew he didn’t mind. They talked for over an hour. These people fascinated Muriel, telling her about being retired, the family scattered all over the country, the far-flung places they’d visited in their travels. Jesse and Martin Hamilton expressed an interest in her life, and she found herself telling them more than she had ever shared with anyone, except Paul when he was alive. Muriel couldn’t remember exactly what led up to it, but eventually they talked about God as if He were their personal friend. She’d never known anyone like them. Since she hadn’t come from a religious family, she’d never heard of the things they shared with her. Somehow, she soon felt her heart yearn for the kind of peace that radiated from this couple. If only it were possible for her to experience it. As soon as that thought entered Muriel’s mind, Jesse reached toward her and took her hand. "We didn’t just happen to drive by tonight. God told us to come here to this diner to talk to you. He loves you and wants you to know Him the same way we do." As coincidental as that sounded, Muriel’s heartbeat quickened. She wanted to know this God they spoke about, especially if what they said was true. "So how do I get to know Him?" Martin reached into the seat beside him and picked up a Bible. She’d seen one before, but had never felt drawn toward it as she was now. He pushed the red leather-bound book across the table toward his wife. Jesse opened it and started reading. The words came alive in Muriel’s heart. After the woman shared several passages from the book, Martin asked if Muriel wanted to accept Jesus as her Savior. When she nodded, they prayed over her, then helped her know the words to pray for herself. If anyone had ever told her a simple prayer would change her, Muriel would have thought the person was crazy. She was still a waitress in a small diner in the middle of nowhere. She had debts hanging over her head and missed her husband. But something inside her had come alive. For the first time in her life, she really understood what Christmas was all about. Muriel looked at her new friends and smiled through her happy tears. "Thank you for coming here and telling me about Jesus." "We were glad to do it." Martin took his Bible when Jesse handed it to him. Muriel decided she would have to save the money to buy one for herself. Not a leather one like they had. She knew there were other kinds. If she had to, she’d just get a paperback. Jesse pulled open the large tote bag she carried. "The Lord told us to bring you a gift, but we don’t want you to open it until we’re gone." Muriel, who really liked getting presents but didn’t get very many, only gave the gaily wrapped box a cursory glance. "Are you leaving anytime soon?" Martin scooted out of his side of the booth. "We have to be on our way. We’re going to visit our newest grandson for the first time." After jumping up from beside Jesse, Muriel looked from one of her new friends to the other. "I hope I haven’t held you up too long." The smiling gray-haired man took her hand in his. "This was the most important part of our journey." Muriel clutched the present as she walked them to the front door. When she turned back, Joe stood behind the counter. "So what happened out here?" His words sounded cheerful. "The strangest thing." She sat on a stool and told him all about it. "I’ve never felt like this before." Joe nodded. "I’ve been praying for you a long time." "Yeah, but I guess I’m not as good a one as I should be if the Lord had to send someone else to tell you about Himself." Joe poured both of them cups of coffee and settled on the stool next to hers. "So open your present." Muriel tore off the paper. The box contained a leather Bible with her name on the front in gold. How could that be? Joe shook his head and took another drink from his cup. When Muriel picked up the book and caressed the smooth navy cover, she noticed that five envelopes lined the box. She opened one and counted out ten $100 bills. Each one contained the same thing. In the last one she opened, there was also a note. God told us to bring this to you. He even told us your name. This money must seem like a treasure to you, but just remember your greatest treasure is the one we showed you before we gave you this present. I've known Janet a long time. We've written for the same publishing company, been online friends, been roommates at national conferences. Today I want you to get to know her. There’s always a bit of me in each character—usually I draw their flaws from my own. Fortunately I have a lot to work with, LOL! Oh, wow. What a question! I’m either totally quirky or totally boring, and it’s scary that I can’t tell which. Actually, I find you totally delightful, so maybe I'm totally quirky, too. When did you first discover that you were a writer? When I was in high school, I wrote songs a lot, and when I began college, that moved nicely into poetry. But then my creative writing teacher told me that poets don’t make much money, and after thinking about that deeply for three seconds, I flung poetry to the winds and decided to try fiction instead, and it was a perfect fit right away. So from the worst of motives, I found my calling. Isn’t God great? Yes, He certainly is. Tell us the range of the kinds of books you enjoy reading. I love mysteries, romance, chicklit, and children’s and young adult novels. You can keep me occupied for hours by putting a cookbook in my hands, too. I love to read cookbooks, too. My husband laughs about that. Even though I used to love to cook a lot, I like things nice and easy now. What other books have you written, whether published or not? I’ve had 3 Heartsong Presents: Rose Kelly, Candy Cane Calaboose, and Angel’s Roost. Plus I’ve had 7 novellas in anthologies. My family keeps me together, and prayer is the glue that holds my sanity in place. Of course, it could easily be that I’ve lost this battle already! Eek! We've all prayed for Janet this year when she lost her beloved husband. Interesting question! Sometimes a character is named in recognition of someone I know, but usually one name just “fits.” With Rose Kelly, I was sitting in church one morning and the name just popped into my mind. I didn’t have a story for it at the time, but that came quickly. My family, of course! They mean everything to me. They’re my blood and my breath, and I can’t imagine life without them. God has truly blessed me! Oh, a guilty pleasure! Cinnabon, of course! Get me to an airport! Fast! I love Cinnabon, too. Did you know they have Cinnabon cheesecake at TGI Fridays? Janet, what fun to share this time with you. I look forward to the time we'll be together again. Remember, Readers, leave a comment on the interview for a chance to win a copy of Rose Kelly. 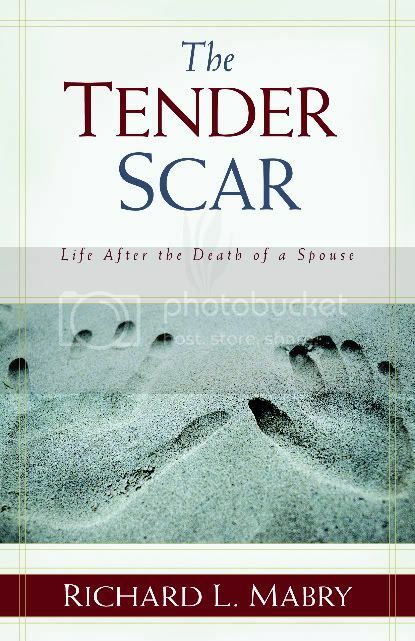 Also, there's still time to leave a comment on Richard Mabry's interview for a chance to win a copy of The Tender Scar. 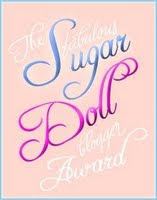 Dona, you are the winner of the book by Terry Burns, Shepherd's Son. Please send me your mailing address, so we can get the book out to you. Since the winner of A Vase of Mistaken Identity by Cathy Elliott hasn't contacted me, I've chosen another winner, Cynthia Ruchti. Please send me your mailing address. A new interview will go up later today. 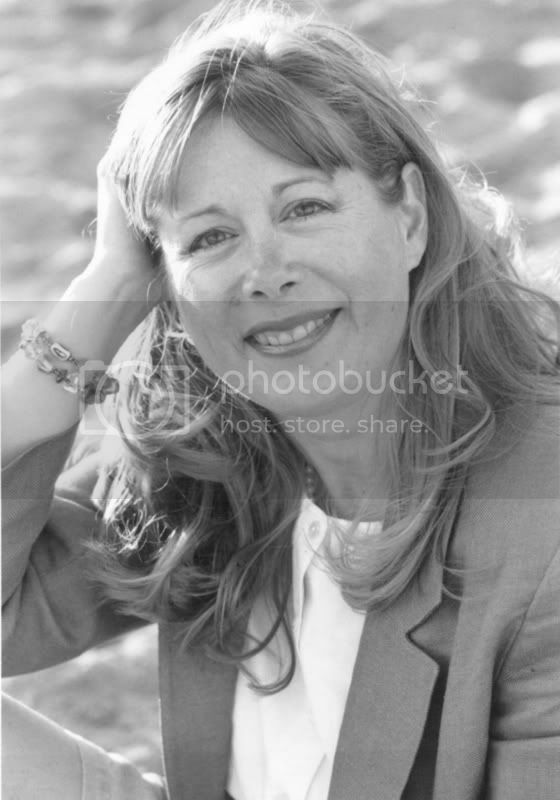 You'll love meeting Janet Spaeth. Dr. Richard Mabry has a new non-fiction book out, and we're featuring it today, but he also writes fiction. I met Richard and his lovely wife when they joined the local chapter of ACFW, DFW Ready Writers. Of course, in The Tender Scar, everything is about me and my family. It is centered around my journalings, and reveals my emotions and experiences for two years after Cynthia’s death. It was especially hard to include the writing that shows my failures, but that was the only way to truly offer help for people going through the same trials. In fiction, I guess we write what we know, which is why my protagonist in my novels is a surgeon. I’ve incorporated a bit of my background in baseball in my first novel, and my work in academic medicine in my second. The third begins with a kidnapping--that one doesn’t reflect my experiences. Conquered my fear of heights long enough to walk across the Capilano Suspension Bridge in Vancouver, 150 yards long and 230 feet high (that’s 23 stories). Never again! That's some feat, Richard. I applaud you for it. When did you first discover that you were a writer? I’ve done medical writing for decades: a number of textbooks and over a hundred professional papers. After my first wife died, I used journaling to help me through the grieving process. 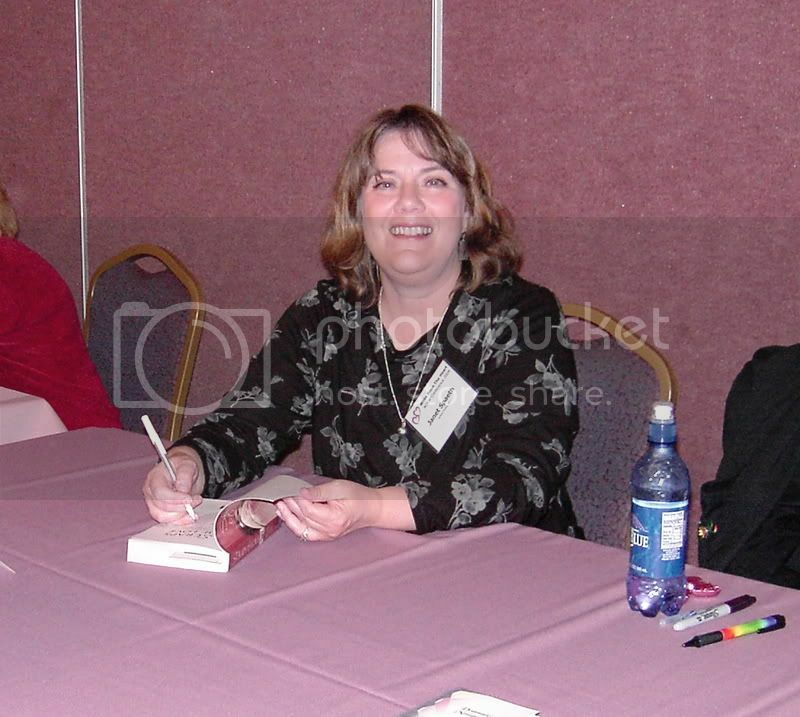 In 2003, I decided to attend the Glorieta Christian Writers’ Conference, hoping to find direction for using those raw journalings. It was there that I was inspired to take them and turn them into a book that would help others who had suffered a similar loss. That’s when The Tender Scar began to take form. At the same conference, an editor told me that, although he didn’t have a need for the type of non-fiction book I had in mind, he’d like to see me try my hand at fiction, and invited me to send him a proposal. I did write that novel, and although it didn’t make it past the pub board, by that time I was hooked on writing Christian fiction. An interesting journey, to say the least. Tell us the range of the kinds of books you enjoy reading. Almost all my reading is fiction. I enjoy mysteries, police procedurals, and adventure. That first novel, More Than A Game, deals with a young man who fails as a professional baseball player, and goes back to complete his medical studies, only to be brought back into contact with his boyhood idol at a baseball fantasy camp. The second, Caught In The Torrent, takes that same surgeon through tumultuous events including his wife’s stalking, his own professional burnout, and his father’s death. The third novel will be my first venture into suspense. These sound interesting to me. As with all of us, it usually takes a while to find the right publishing house. I pray that you do soon. Now on a different note, how do you keep your sanity in our run, run, run world? God has blessed me once more with the love of a wonderful woman, and my wife, Kay, keeps me grounded and sane. We walk (and talk) daily. I play golf once a week with an old friend. And we watch reruns of sitcoms (thanks to TiVo). I don’t keep a file. When writing fiction, I usually just sit down and run through the mental list of the hundreds of people I’ve met through life, combine a first and last name that seem to fit, and then figure out who they are and why they act that way. Sounds like a good plan to me. What is the accomplishment that you are most proud of? I’ve been blessed with so many things, personally and professionally, but I’d have to say that I’m most proud of this: my children (Allen, Brian, and Ann) are fine Christian men and women who continue to display the sense of values that Cynthia and I tried to instill into them. Judging from the way they get preferential treatment at the home of my son and daughter-in-law, I’d say a cat. I’m not sure whether people own cats or vice-versa. At last, an easy question. Tex-Mex food. Specifically, the #4 lunch special at La Calle Doce in Dallas’ Oak Cliff section. Tell Alma I sent you. Sounds good to me. James and I may just have to venture over there and try it. This was a book I felt had to be written. After Cynthia’s death, I read everything I could get my hands on, but nothing spoke to the gut-wrenching emotions and the daily quandaries I faced. In my book, each chapter begins with an excerpt from my own journaling, followed by what I hope are practical words of advice and comfort. Each chapter ends with a scripture and prayer. The reviews have been excellent, and I pray that the book continues to serve a purpose in the area of Christian grief. If people can read The Tender Scar and see the sufficiency of God’s grace for their needs in the trying times they’re facing, it will just be another proof that He can take even a terrible tragedy and bring something positive out of it. Thank you, Richard, for this journey into your life. Readers, be sure to leave a comment for a chance to win a copy of The Tender Scar. Also, there's still time to leave a comment on the interview with Terry Burns. . . .is the winner of A Rose From the Ashes by J. N. Graham. thank you all for leaving a comment. Rachel, please contact me with your mailing address, and we'll get the book out to you. a. noel has not contacted me yet with an address. If you know her, please tell her to check out this blog and contact me. I'll give her another week, then I'll choose a different winner. I know you loved meeting Terry Burns several months ago. We have him back with a new book and new questions. Terry, it's always good to spend time with you, even online. I look forward to seeing you in person again in January at the American Christian Fictions Writers local chapter DFW Ready Writers. We look forward to hearing from you. Readers, if you are interested in knowing more about that meeting, just e-mail me. The link is to the right. Terry, why do you write westerns? I grew up in the era of Saturday matinees with "Bonanza," "Gunsmoke," "Wanted Dead or Alive," and "Have Gun, Will Travel" on the TV. Growing up in the west I've worked a lot on farms and ranches as well, and put on a rodeo for many years. I love the old west and would love to introduce a new generation to this love. Those titles bring back memories for me, too, Terry. Besides when you came to know the Lord, what is the happiest day in your life? Christmas Eve at First Baptist Church in Orange, Texas – a candlelight service where I watched both my babies (young teens) get baptized together. No contest. It has given me a chance to use my words for the Lord. I've always been a storyteller, always written this and that, but now I get the chance to let my faith show through just a bit in my writing; actually not my faith, but the faith or lack thereof that my characters have. This has led me down paths I hadn't traveled before through being shelved in libraries, through doing workshops, programs and testimonies. Through the places I go to do book signings and the places my books go without me. I think all the time about ways I can spread my words further. The Bible talks about those who sow and those who harvest. Mostly I sow, planting small seeds of faith within what I hope is a good, entertaining story. That's my primary aim, a good fast-moving story that keeps the reader involved. And if a seed gets planted that later may send up a small sprout, well . . . I completely understand that feeling. What are you reading right now? 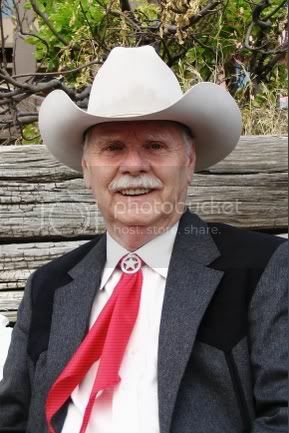 Right now Elmer Kelton's Texas Ranger Trilogy, Lone Star Rising. Good book, with a surprising faith element in it that I don't recall seeing in Elmer's work before. Of course by the time this is put online it'll be something else. I read a variety of things, but try to make my primary reading along the lines of what I'm trying to write at the time. 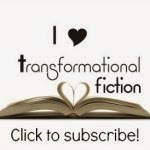 I believe what we read has an effect on our thought processes as we write, and if I were reading a bunch of romance for example, as I tried to write a western, I suspect the love interest in the book would end up significantly enhanced. Romance can be an integral part of every kind of book. I like them better that way. What is your current work in progress? Surprisingly enough I'm trying my hand at a cozy mystery at present. The jury is still out on that one. I do want to branch out more. I'd also like to write some young adult. Specifically I'd love to write some young adult western to see if I could help introduce some new readers to the genre, but publishers don't seem to warm to that goal right now. Funny. When I finish writing the currently contracted book, I'm going to work on a cozy mystery proposal. Hang in there about the young adult thing. You know as well as I do that the market is constantly changing. If God has put this on your heart, its time will come. What would be your dream vacation? 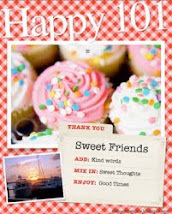 Saundra and I would like to take a nice long cruise, with a lot of time built in to write, of course. She's wonderful about seeing that my writing time is protected, but I'd like to have the chance to devote a little time to her, and I think a cruise would be ideal. That's something we've never done. I hope you get to go soon. James and I have been on two cruises, and I wrote a romance novel based mostly on a cruise ship. It is receiving rave reviews and reader feedback. How do you choose your settings for each book? I'd have to say they kinda choose me. I've done a couple where the setting was the motivation for the book. In others the characters decided to go to this place or that and I really don't know why they decided to do it. My favorite way is because that is where I happen to be and I'm getting the chance to write on site. Laura Bush, and it has nothing to do with politics. She strikes me as a very classy lady in the midst of all the bull that is constantly going on in that environment. She's the world's most famous librarian, and I have a huge respect for librarians. Mostly it would be because she really does a lot for writing and writers. I sent her the first copy of Mysterious Ways as a means of thanks for all she does and was disappointed that I didn't get a little note back, but I suppose she gets enough books that way to populate a small library. Mrs. Bush is definitely a strong advocate for books and reading, both in adults and children, and I highly respect her, too. What are your hobbies, besides writing and reading? I like to camp out, though going in the RV generally entails writing time as well. Saundra and I both like to see new things and new places, and who knows, down the road might be the type to become full time RV people. Sounds like fun. Actually, the only camping I like is in an RV. I'm not the tent on the ground type. Tell us about the featured book. 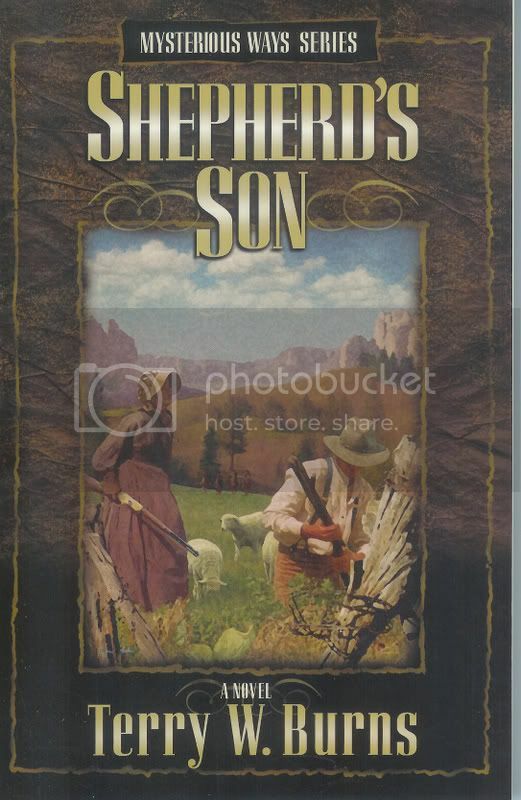 Shepherd's Son is the third book in the Mysterious Ways series. It was born one morning when my stepdaughter came in to tell me about a program she had just heard on the Good Shepherd, drawing links between actual flocks of sheep and the church as a spiritual flock. That immediately conjured up thoughts of such a comparison back in the days when herding sheep was hated and despised in the midst of cow country. Some delightful characters emerged to help me tell the story, and it has the strongest and most unusual conversion scene in it that has ever come about in one of my works. There is also a scene where actual young shepherds hear for the first time the story of David and Goliath that I think will give the reader a fresh look at that story, it sure enough did that for me. It was a fun book to write, and I think will be a fun one to read. I have thoroughly enjoyed reading several of your books, Terry. 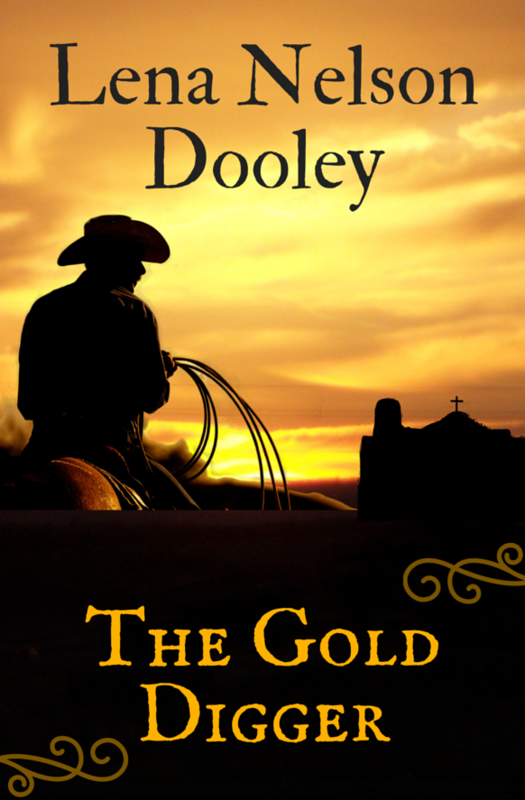 I highly recommend them whether the reader has ever read a western or not. Readers, remember to leave a comment on this interview for the chance to win a copy of Shepherd's Son. There's also still time to leave a comment on J.N. Graham's interview. The winner of A Rose From the Ashes will be chosen next weekend. 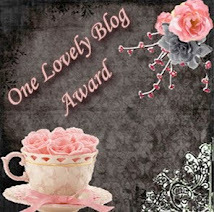 You are the winner of A Vase of Mistaken Identity by Cathy Elliott. Please e-mail me with your snail mail address, so we can get the book out to you. Reading friends, there's still time to leave a comment on J. N. Graham's interview for a chance to win A Rose From the Ashes.